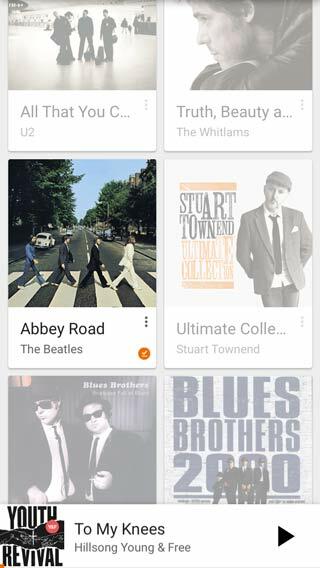 The Google play music application replaces iTunes as a music player on your iPhone. It gives you more control over the uploading and downloading of songs. Ever purchased an audiobook before you went on holidays on your Mac, only to find that when you jumped in the car your iPhone won’t download it? Ever wanted to get a song from one iOS device to a different iOS device but you couldn’t because they were synced to different computers? Google play music fixes all those problems! Google Play app for your iPhone has a number of advantages over iTunes. It doesn’t keep asking you to subscribe to Apple music. It allows you to easily manually manage your music. It gives you more control over how you upload and download music. You can choose which music files you want downloaded to your iPhone and which ones you don’t. You can choose whether you want to use your phone data allowance to download music. You can choose whether you want to use your phone data to stream music or not. 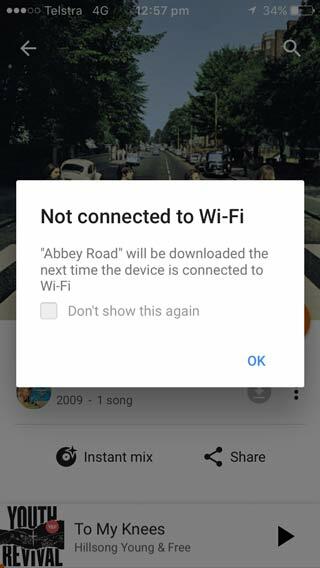 For more information about sinking all your music across your devices using Google play read this article. Albums that are not yet downloaded a faded. Downloaded albums are bright. 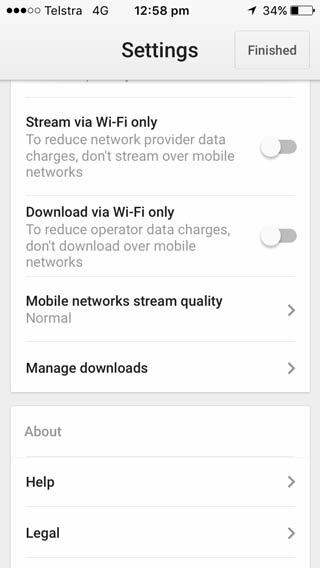 Google play gives you much more control over streaming options so that if you want to use your phone data to download music you can. You can even change the stream audio quality! In this example Phone data is turned off so I can’t download a song. It has an application on your desktop computer that will sync with your iTunes and load all your music files into the Google cloud. Google allow you to have space for up to 50,000 songs for free. You can then access these songs from anywhere on your iPhone by streaming them from the cloud. Alternatively, you can choose to download them to your iPhone and have them there permanently. When you are streaming music you can choose whether you want the quality to be low, medium, or high. High quality will use more of your bandwidth but is better quality audio. Finally, if you have access to an Android phone, and you are on a monthly prepaid plan, you can use your leftover phone credit to purchase songs from the Google Play store. 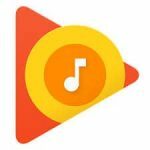 Once you have purchased a song from the Google play store it is easily available from any of your devices. 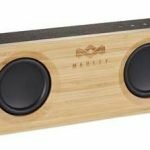 Google have completely bridged any incompatibility problems between your desktop OS X computer, your iOS devices, and Android devices because Google Play Music works seamlessly across them all! 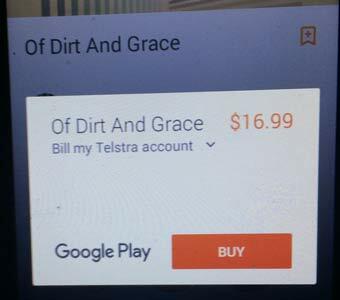 Here I am purchasing an album using my left over credit from my Telstra prepaid plan on an android device – these songs will be available on my iPhone! 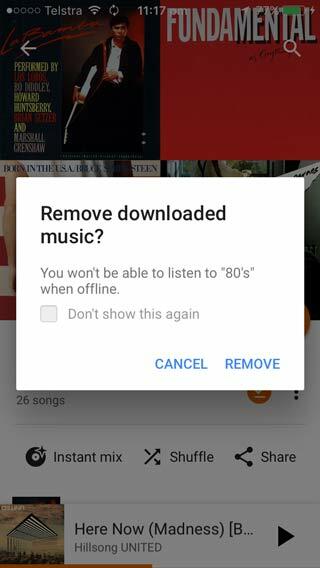 One word of warning, for you to be able to import your iTunes songs into Google Play Music they must be DRM free, If you have manually imported them all from CD, or have purchased them from Google, or have purchased them recently from the iTunes Store, then they will be DRM free. If you purchase them before 2009 from the iTunes Store they will not be DRM free and you will not be able to copy them. You can pay Apple to upgrade all your purchased songs to be DRM free. Read about how to do this here.